SOL Republic is definitely a name that most of us are able to relate to when it comes to a pair of headphones, and they have even tied in with big names such as Tiger Woods in the past. Well, this time around, those of you who are extremely active out there might be interested in picking up the SOL Republic Relays Sport wireless headphones which will certainly be a boon to those who tend to have a less than sedentary lifestyle. When it comes to wireless sports headphones, consumers tend to have several common pet peeves — among them include a relatively short battery life (which ticks off those marathon runners), a complicated secure fit system, ear hooks that tend to induce pain over the course of time, and lackluster sound quality. 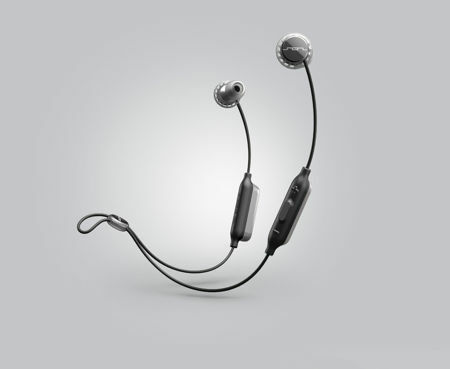 SOL Republic is committed to changing the world one listener at a time, hence the Relays Sport wireless headphones. The Relays Sport wireless headphones has been specially designed to be comfortable to wear for hours on end, all without having to sacrifice its secure fit. There is also enough battery life to have it last up to eight hours of play time, sporting full range high fidelity sound, quick charge technology, microphone, music controls, sweat and water resistance, and a special outdoor sound mode. The most important feature of Relays Sport Wireless lies in its award-winning FreeFlex secure fit, which is an ultralight ear bud design which can adapt to any ear size without having to have complicated parts or hooks which wrap around your sensitive ear. This ear bud remains inside, and will not fall out. It does make us wonder whether the Apple AirPods are up to the task, too. All of the electronic components are carefully placed in ergonomic, water resistant pods which fit naturally on the neck. This allows it to deliver signature deep bass and crisp sound regardless of which activity you are involved in, and an outdoor sound mode increases the right amount of bass so everything sounds just right again. Available in black, mint and yellow colors, the Relays Sport wireless headphones will cost $79.